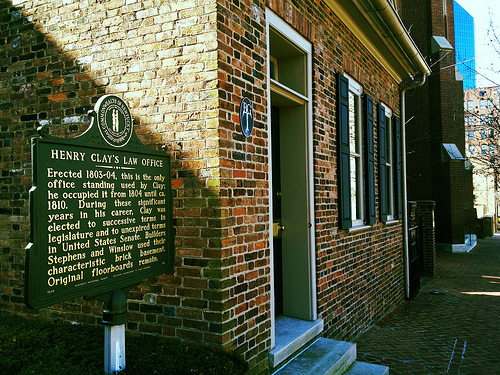 Henry Clay Law Office - Lexington, Ky. Historic preservationists are often faced with a difficult question: which version of history should we preserve? A great illustration of this question exists on Lexington's North Mill Street. The Henry Clay Law Office, which is the home of the Henry Clay Center for Statesmanship, is a one story brick building adjacent to First Presbyterian Church. Henry Clay had the building constructed in 1803 as his law firm while he and his wife, Lucretia, lived across the street. The building served as Clay's law office until September 1810. 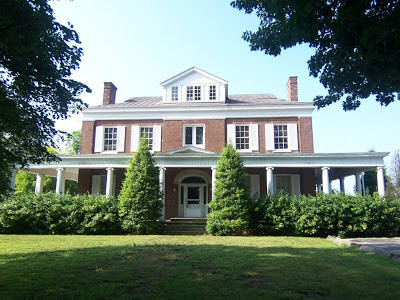 While there, Clay was elected to the successive terms in the Kentucky legislature from 1803 to 1809 and was twice named (1807 and 1810) to fill unexpired terms in the United States Senate. 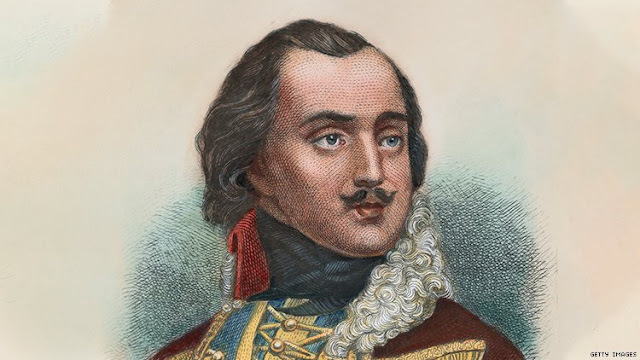 Clay, the "Great Compromiser," continued to grow in stature and prestige after he left his Mill Street office. Despite its famous occupant, there is little architecturally significant about this small 22 by 20 foot structure. An 1830 addition encapsulated the little, old law office into a larger two-story structure but left intact the four walls, floorboards and chimney. The building, circa 1830, is fairly historic in its own right even if it does envelops a structure twenty-seven years its senior? Preservationists in this case opted for the older structure which was tied to the building's most important occupant. 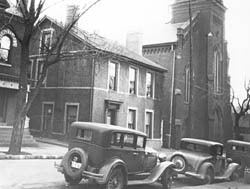 In the late 1960s, the adjacent church owned the land and was prepared to raze the two-story structure when preservationists and the Commonwealth of Kentucky stepped in. 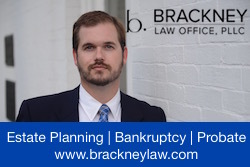 Recognizing the historic value, the Commonwealth acquired the building and carefully demolished the 1830 exterior to uncover the good condition of the 1803 building. Through 1971, a detailed restoration took place that involved the turning of each exterior brick on the building. 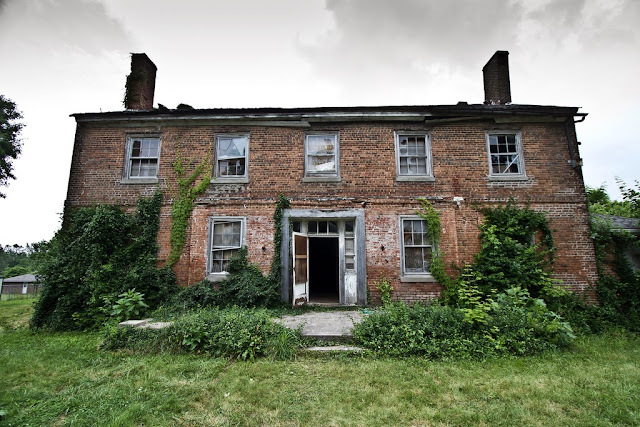 This was done because the clapboard siding once attached had damaged the brick's then-exterior; now turned, the inside faces out and the building looks its original, 1803 self. Ultimately, the same church that once sought to demolish the building reacquired it and used it for various purposes before leasing it to the Center for Statesmanship. 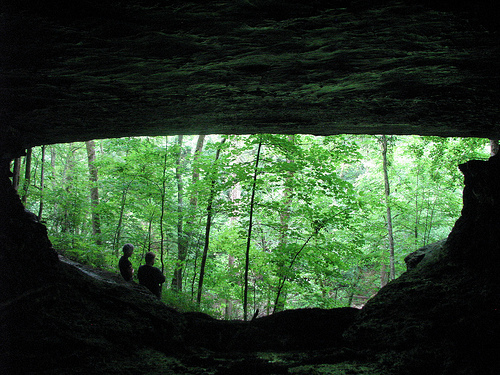 The Bluegrass Trust for Historic Preservation hosts a monthly deTour for young professionals (and the young-at-heart). The group meets on the first Wednesday of each month at 5:30 p.m. Details are always available on Facebook! Our next meeting is Wednesday, May 2 where we will explore The Bread Box (501 W. Sixth St.)! Join us by meeting at West Sixth Brewing Company!! You can see Kaintuckeean write-ups on previous deTours by clicking here.